The coffee industry has been under the spotlight recently over concerns over the large number of disposable coffee cups that end up in landfill each year. Approximately 2.5 billion disposable coffee cups are thrown away in the UK every year. The UK government have decided not to introduce the ‘latte levy’ 25p charge for disposable coffee cups, however the disposable packaging crisis still continues and needs to see changes in all areas to improve. 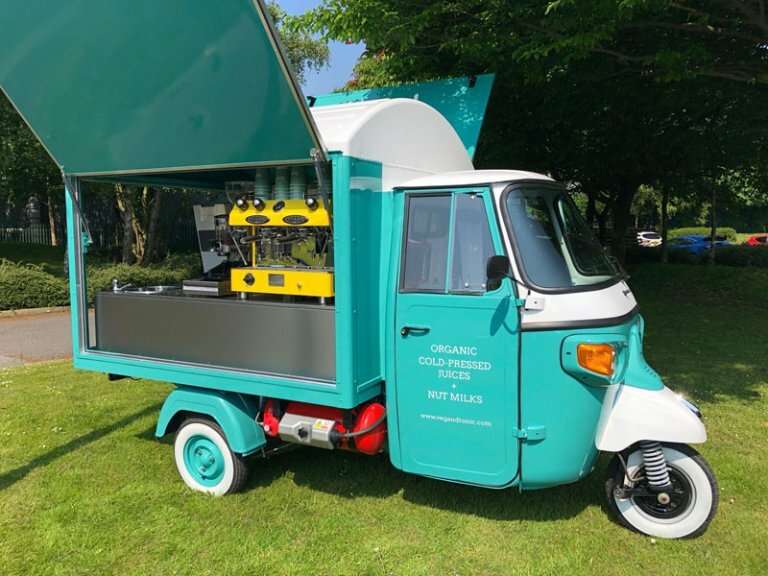 In this blog, we consider how the coffee sector can reduce the amount of waste packaging it sends to landfill and contribute to a greener future. In addition, we see how coffee and community come together as we catch up with our past client Refuge Coffee about the initiatives they’re introducing within their local community. 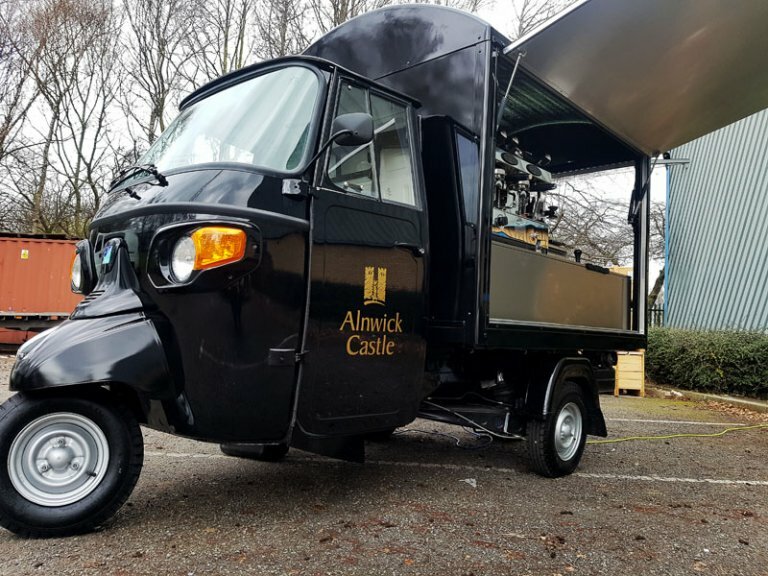 The following fresh approaches to the coffee industry should act as an insight as to how you can blossom your mobile coffee business this spring. The majority of disposable coffee cups that end up in landfill each year can in fact be recycled, but many recycling plants don’t have the facilities to separate the cardboard from the plastic lining inside the cups. A switch to compostable packaging however, would make getting the waste to the correct facilities easier as compostable disposables are designed to be recycled in industrial composting together with food waste. The UK exports 70% of its paper and 66% of its plastic for recycling but there’s no concrete figures on how much actually gets recycled. It’s known that other countries have not be able to recycle the UK’s disposable waste, due to issues such as food contamination. This is why it makes sense to use materials that can be recycled with food. 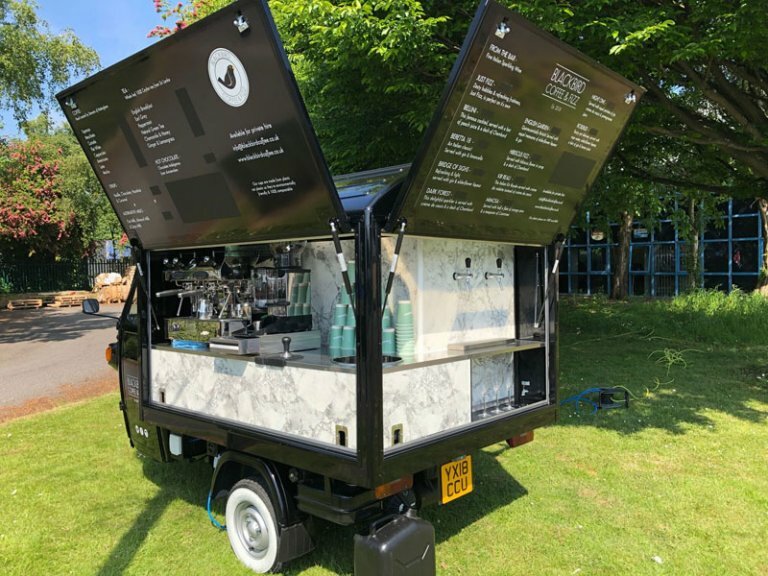 The Big Coffee have begun offering a new service to independent coffee retailers in response to growing concern over disposable coffee cups. To help make it easier for coffee vendors to be green, we’re offering a new service where they can purchase compostable coffee cups through us. The compostable coffee cups break down in less than 12 weeks in industrial composting and are lined with plant-based PLA instead of plastic. Customers will have the chance to purchase standard 12oz double wall brown Kraft cups with black cover lids, both which are completely recyclable in compostable food waste. These can be ordered in quantities of 500 units. In addition, coffee vendors can get custom-branded cups to help market their mobile business. Even if industrial composting facilities are limited near you, having more compostable packaging in use will encourage a faster and widespread coverage of the necessary infrastructure. Also, the earth doesn’t have infinite resources and by switching to renewable resources we can reserve conventional materials for more important uses. Q. What inspired Refuge Coffee? A. We were looking for a way to connect more directly with the neighbours in our community, to create opportunities for work experience and employment for vulnerable individuals in our borough, and to creatively give back to support other community partners providing “refuge” to people in our larger community. Q. How do you create opportunities for job training, work placements, internships and employment? A. We are working directly with local comprehensive high schools, colleges and charities to offer training and placements. In our first 3 months of training, we’ve already completed one round of training with young refugees, hosted a collegiate work placement, and included new community volunteers. Q. What has been the response to your loyalty card scheme initiative? A. Within the first 2 weeks, we had one family fill up a card. School run lattes and hot chocolates are fantastic! My favourite part is when school age kids now request their “own cards” so that they can get the stamps towards a free drink. Q. Anything else you’d like to mention? A. 1. We bring full-flavoured COFFEE & CONVERSATIONS to our small corner in Stanmore. 2. We CREATE opportunities for job training, work placements, internships and employment. 3. We reinvest in local COMMUNITY partners supporting those in need of refuge. 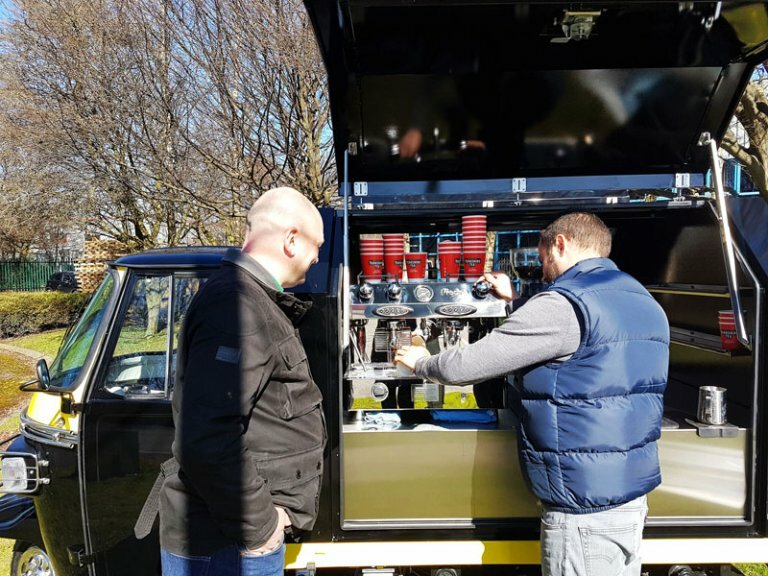 As experts in the mobile coffee industry we can provide you with a bespoke mobile coffee vehicle conversion and assist with business planning advice. For more information as to how we can help or if you’d like to place an order for compostable coffee cups, contact our sales team today on 01482 655020.
how much are 500 compostible cups and lids? how much are 500 logo’d compostible cups and lids? May we see what your cups and lids look like? And what are the sizes and price?